If a king falls in a chess match, and no one is there to hear it, does it make a sound? 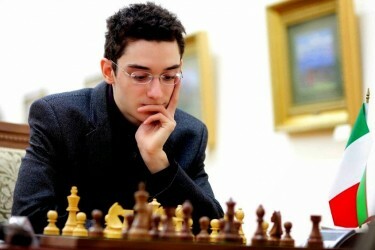 Earlier this month, Seth Stevenson masterfully wrote about the greatest feat in modern chess history: Brooklyn-born Fabiano Caruana (pictured) winning seven straight games and tying three more against top 10 opponents, including world champion Magnus Carlsen. If you have even a passing interest in chess, game theory, some of the world’s brightest minds, cat fights, and historic performances, I implore you to read it. Writes Stevenson: “At one point during the Sinquefield Cup, I was watching from a quiet viewing lounge on the first floor of the chess club. I glanced over to my left and saw a man sitting alone. It was Rex Sinquefield. I tried to make conversation, but he politely brushed me off. He was utterly focused on watching Caruana play. An orphan turned plutocrat, now transformed back into a little boy watching his favorite game. 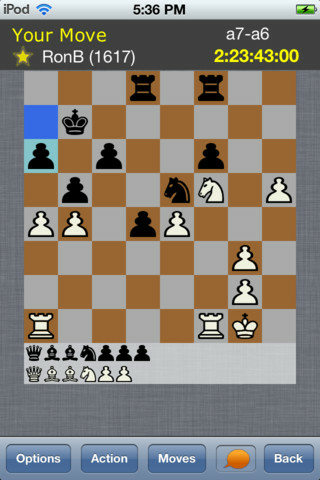 Although I prefer playing in person, digital chess is better than no chess. Thanks to Josh Rhine for making this my favorite app.